Henrikh Mkhitaryan, introduced as a 76th-minute substitute, floated a cross into the Wolves penalty area that evaded everyone before drifting in at the far post. Henrikh Mkhitaryan's 86th minute equaliser salvaged a 1-1 draw for Arsenal at home to Wolverhampton Wanderers on Sunday as the Gunners extended their unbeaten run to 16 games in all competitions. Unai Emery's side appeared set for defeat against their newly-promoted opponents as they struggled to recover after falling behind to Ivan Cavaleiro's 13th minute goal. 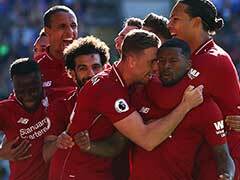 They were rewarded for an improved second-half performance when Mkhitaryan, introduced as a 76th-minute substitute, floated a cross into the Wolves penalty area that evaded everyone before drifting in at the far post. The leveller brought relief for the Gunners but for long periods of time, this was a less than convincing performance by the north London club. If Morgan Gibbs-White's added-time shot had not deflected to safety after striking the underside of the bar, the home side's recent run would have come to an abrupt end. Three draws in the previous four games, including Thursday's scoreless stalemate with Sporting Lisbon, ahead of this Premier League clash had prompted Arsenal manager Emery to say his side were far from the finished article. And this performance will only have strengthened the Spaniard's view that more work is needed to find the right balance between attacking intent and defensive solidity. 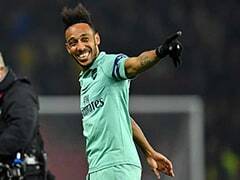 The steady progress of recent weeks has taken Arsenal to the fringe of the top four but talk of them as possible title contenders stalled against a determined Wolves side aiming to end a run of three successive defeats. Once again Unai Emery's men started slowly. 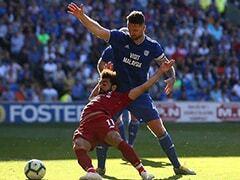 This was the fifth successive league game in which they have conceded the first goal while Cardiff City, currently in the bottom three, are the only other side not to have led at half-time in a Premier League game so far this season. Emery's intentions were clear when he again named an attacking line-up with Alex Iwobi coming in for Mkhitaryan in the only change to the side commended for their 1-1 draw with Liverpool last weekend. Iwobi initially made a positive contribution, driving at the Wolves defence with a strong run into the area that ended when he was blocked off by Ryan Bennett. 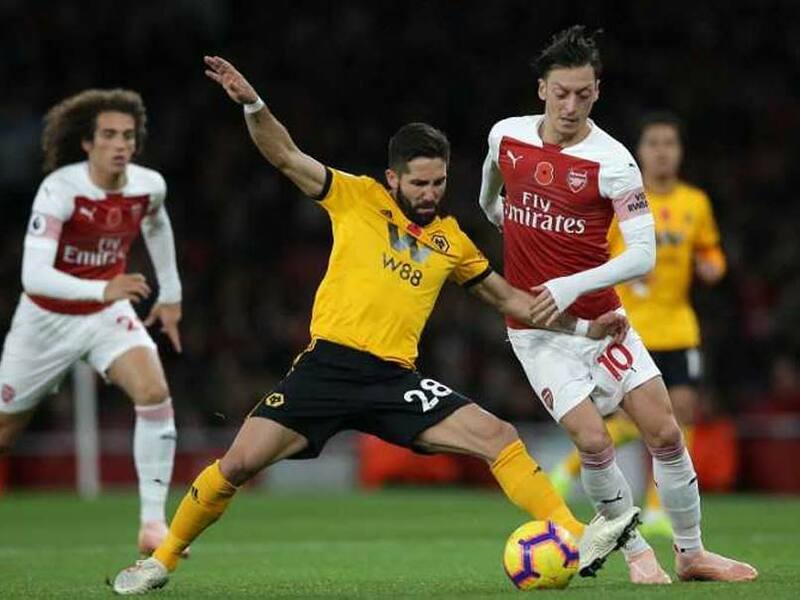 But after it had become clear during an open first half that Arsenal were vulnerable to Wolves' swift counter-attacks, the Nigeria international made way at the interval for Matteo Guendouzi as Emery attempted to stiffen his midfield. Wolves had quickly demonstrated they were capable of exploiting the spaces left by Arsenal's desire to go forward. Lucas Torreira and Granit Xhaka struggled to close gaps in midfield. The last thing the home side needed, then, was for Xhaka to lose concentration and allow the visitors the opportunity to establish a 13th-minute lead. The Switzerland international clearly thought there was a team-mate behind him when he allowed the ball to run-on inside the Arsenal half, and not Cavaleiro. The Wolves forward made the most of the unexpected gift by driving forward before picking out Raul Jimenez on the right-hand side of the Gunners' penalty area, and when Jimenez drilled a low cross back across the face of goal, Cavaleiro turned the ball into the net. 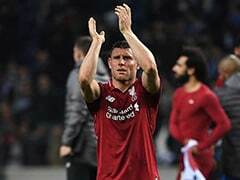 Were it not for two excellent saves by Bernd Leno from Helder Costa, Arsenal would have faced a much more daunting task as they tried to get back into the match. 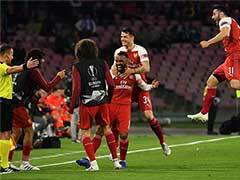 Their half-time change made Arsenal look more solid but it was not until the final 20 minutes that they applied the sustained pressure which finally delivered the equaliser.